If you’re a frequent flier, you’ve likely heard of and perhaps even tried some of the best packing cubes. After all, they’re one of the steps to pack a suitcase like a pro traveler. If you haven’t heard of or used packing cubes, you’re missing out. They can help you keep your luggage organized and help you find things more easily. Here are the top 5 best packing cubes and a guide to using them. Clear packing cubes may not be the most aesthetically pleasing packing cubes, but they’re among the best packing cubes because you can see what’s inside without having to open the bag. Small: 11″ x 6.75″ x 3″ & 0.28 lbs. Medium: 13.75” x 9.75” x 3” & 0.44 lbs. Large: 17.5” x 12.75” x 3.25” & 0.66 lbs. Different sizes: Three sizes come in this set, so you can pick and choose which you’d like to use. Don’t need the large one? Leave it at home and bring the smaller ones instead. Need to keep all of your luggage organized? Bring them all! Durable materials: These packing cubes are made out of durable, BPA-plastic and are water resistant. You don’t have to worry about them ripping easily or your clothes getting ruined if the bags get wet. Warranty: Samsonite offers a limited three-year global warranty. Higher price: These Samsonite packing cubes are pricier than others on the market. However, Samsonite occasionally offers sales and coupons to help you get a better deal, and the warranty can help protect your investment. Poor aesthetics: These clear packing cubes aren’t the most beautiful. If you care more about efficiency than aesthetics, these are some of the best packing cubes. Sometimes you need an entire set of packing cubes, but other times one large one will suffice. In the second scenario, we recommend Tumi’s Large Double-Sided Packing Cube. This cube is lightweight and has a double zip opening, dual compartments, and a webbed handle that makes it easy to grab and grasp. Large size: This bag measures 10.75 ” H x 5.5″ W x 15″ D. This size allows the cube to hold everything you need for a weekend trip. Matching sizes: This is the largest of Tumi’s packing cubes, but there are other options. If you like your piece of luggage and packing cubes to match, Tumi provides several options. Mesh top: While the bag may not be translucent, it does have a mesh top so you can see what you’ve packed. Webbed handle: The webbed handle makes the bag easy to carry. High cost: Tumi’s packing cubes are more expensive than others on the market, especially considering they come in singles instead of sets. One color: These packing cubes are not customizable and only come in black. Eagle Creek makes one of our favorite toiletry bags, and the company also makes some of our favorite packing cubes. The Pack-It Full Cube Set comes with three packing cubes, all of which come in a lightweight mesh material. The mesh allows for visibility, so you can see what’s inside each packing cube. These cubes are also water resistant, so if you happen to spill anything inside your suitcase, the items in your packing cubes will be safe. Add-on options: If you like having matching accessories, Eagle Creek is a great brand. It makes high quality packing cubes and other travel accessories like toiletry bags. Affordable price: The three packing cubes in this set cost less than one high-end packing cube. 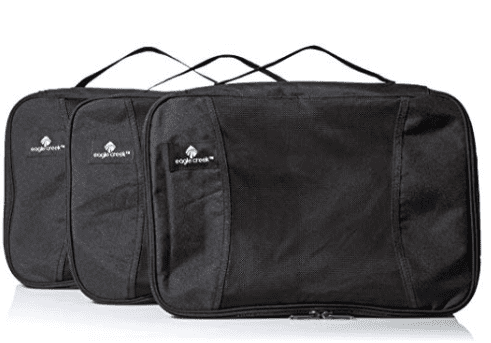 For the price (and quality), you can’t beat Eagle Creek’s packing cubes. Color variety: We love the basic black packing cubes, but you can get the cubes in red, blue, or patterns if you prefer. Sturdy handle: These bags have a handle, which makes them easy to grab from your suitcase and easy to carry. Quality material: The material is lightweight, durable, and breathable. 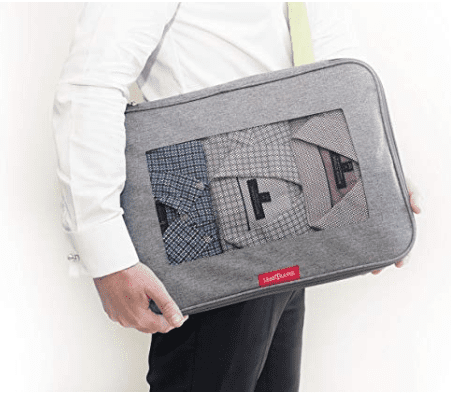 Plus, there’s a mesh top that lets you see your bag’s contents. 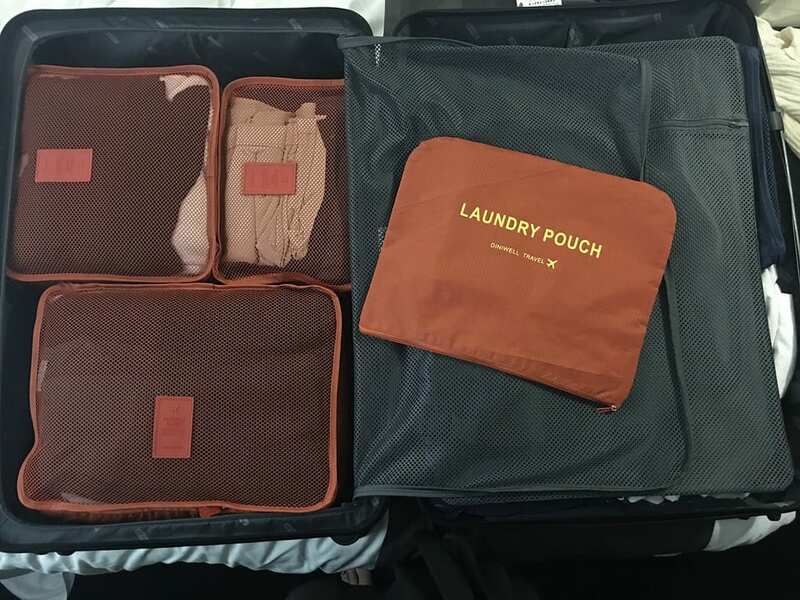 Low compression: Because these packing cubes are breathable, they don’t compress your clothes as well as some other packing cubes on the market. Same-sized cubes: We like that three packing cubes come in this set, but we’d prefer if they were different sizes to make packing for different situations easier. If you need to compress your items as much as possible, check out these Gonex packing cubes. Not only are they affordably priced, but they feature a compression zipper (much like the expansion zipper on your luggage). 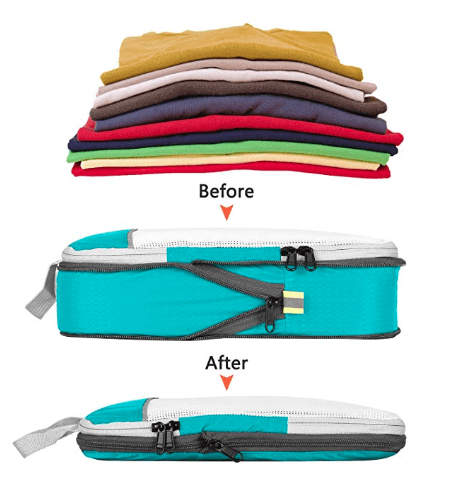 This compression zipper enables you to expand the packing cubes while you’re packing then and then zip them as tightly as possible to maximize space. If you use checked luggage, you may want to go for the five pack, but if you tend to use a carry-on most of the time, a set of three is likely your best option. These packing cubes are made of breathable mesh fabric, have handles on each one, and come in a variety of sizes and packs. Breathable fabric: Breathable fabric means you can pack wet or damp clothes in one bag and not risk mold or odor. Efficient compression: Gonex’s packing cubes have the best compression we’ve come across. The unique compression zipper helps keep the cubes small. Low price: These packing cube sets are affordably priced whether you want to buy the three piece set, five-piece set, or enough cubes for an entire family. Size variety: The sets of cubes come in a variety of sizes. Poor aesthetics: These aren’t the prettiest bags, but we don’t care because the price and compression make them among the best packing cubes. Zipper problems: Some customers say the compression zippers catch on the fabric, so be cautious when zipping and unzipping the cubes. If you plan on traveling somewhere and expect your bag to go through a bit of turbulence, consider investing in some sturdy, durable packing cubes that can take a beating. 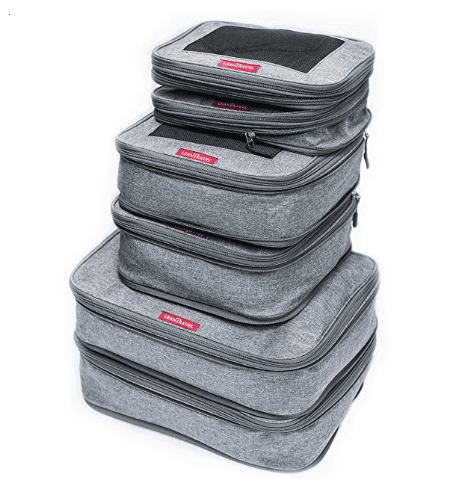 We recommend a set of LeanTravel Compression Packing Cubes. 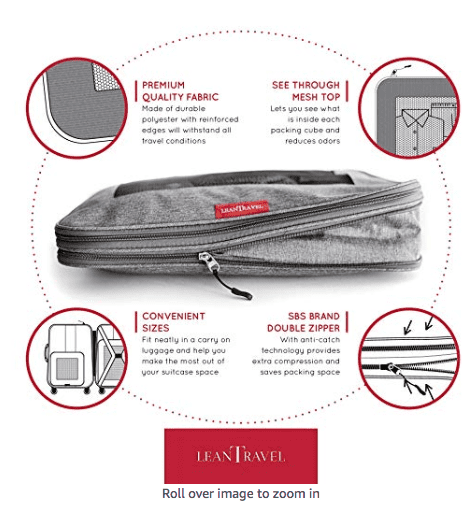 LeanTravel’s packing cubes are strong, affordable, and have an extra zipper to aid in compression. They can reduce your bag’s thickness from four inches to one inch. Affordable price: This set of six packing cubes is priced comparatively. Strong compression: A compression zipper helps make a four-inch bag go down to one inch. 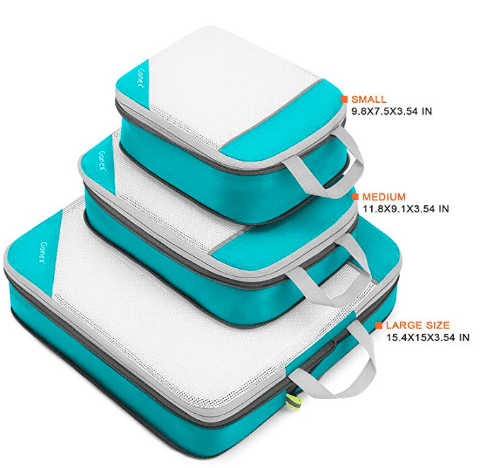 Various sizes: This set comes with two large, two medium, and two small packing cubes. Compression zipper: Customers have complained about the fabric getting stuck in the compression zipper. Even some seasoned travelers have never heard of packing cubes, but once you have, they’ll change your travels forever. Imagine you could put a dresser into your suitcase, with three or more drawers in which all of your items would be neatly sorted, folded, and organized. Packing cubes do this for you. 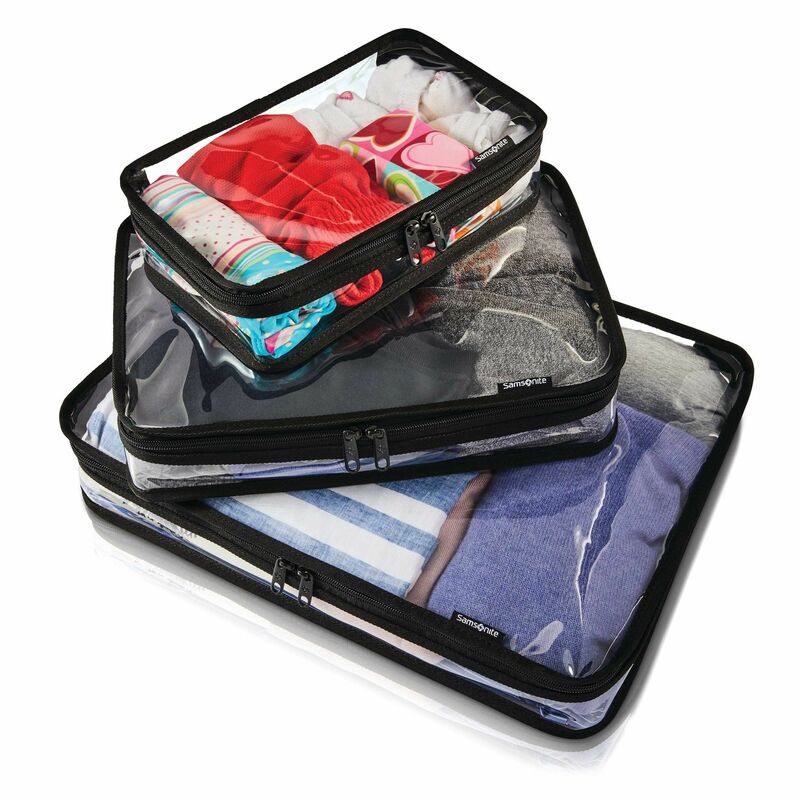 Packing cubes are small, zippered compartments that fit inside your suitcase and hold your clothing. Most packing cubes are either square or rectangle and come in a variety of sizes and fabric types. Some have plastic, mesh, or water-resistant fabric, so pick whichever will be best for your needs and travel location. Some have interior pockets, compression straps, or other accessories. Packing cubes help your luggage stay organized, whether you prefer checked bags, carry-ons, or traditional duffels. If you’re traveling with a carry-on vs. a checked bag or traveling for an extended time, this travel gear lets you pack more than you’d normally be able to in a suitcase. Packing cubes compress clothes. Packing cubes can compress your clothing, letting you pack more. Thanks to the compression, your clothes won’t move around and won’t get as many wrinkles. Do you like to ski or travel to snowy, cold destinations? Bulky sweaters, ski pants, down jackets, and other cold-weather gear can fit much better in a carry-on with compression packing cubes. Packing cubes keep you organized. Each packing cube can hold a different category. Your tops can go in one, your undergarments in another, and your bottoms in a third. Other people like to sort the containers into each day of the trip. Most people even bring an empty packing cube for dirty laundry. Packing cubes save money. If you don’t like luggage’s checked prices, these tools can help. 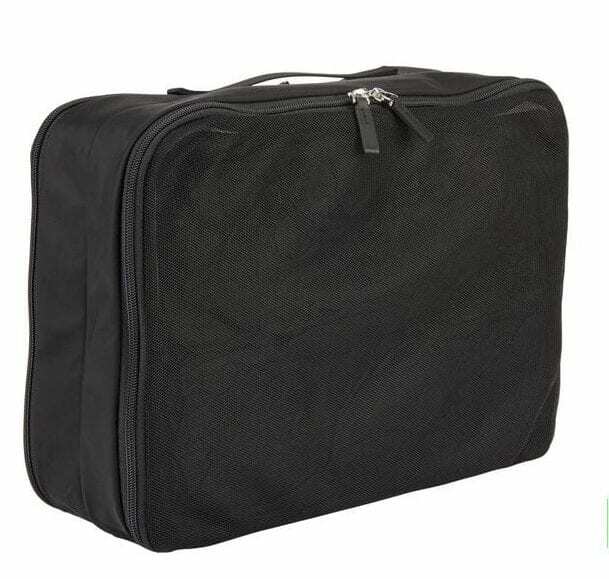 Packing cubes make it easier to take everything you need in a travel backpack or carry-on. These benefits are why so many travelers won’t leave home without packing cubes. Even on a weekend trip, they can make a big difference in how much space you can maximize in your bags. If you often run out of space while packing and find yourself having to leave clothes behind because you didn’t have enough room in your suitcase, we highly recommend investing in packing cubes. How Do You Use Packing Cubes Effectively? If you’re going to buy packing cubes, make sure you use them correctly so you don’t waste your money. Here are the four steps to using packing cubes correctly. If you’re the type to walk over to your closet and throw a bunch of stuff haphazardly into your suitcase, you’ll need a different strategy to use packing cubes effectively. To best use packing cubes, you need to figure out what you’re going to pack. We recommend starting with a list. Be as specific as possible. If you are trying to pack light, go through the list twice to see if there is anything you can remove or any items that can be worn multiple days. Once your list is final, pull out each item and lay it on your bed or another place that will be easy to see and sort through the clothing. 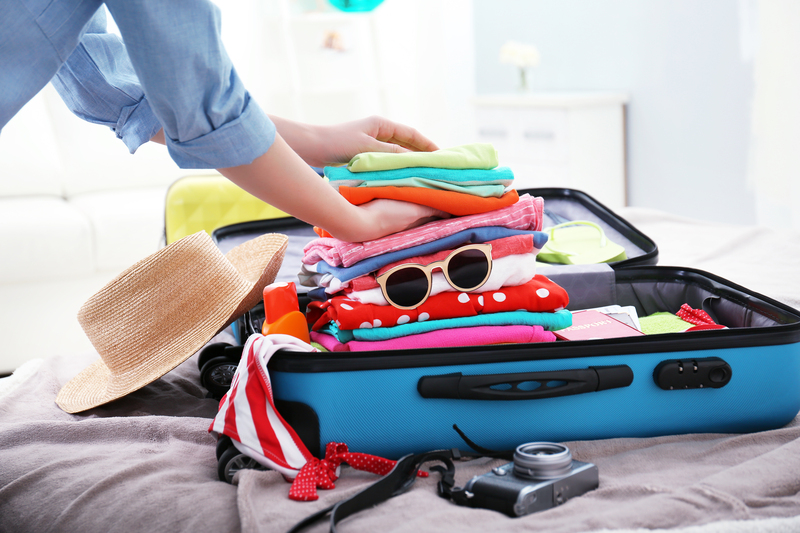 If it’s a long trip, you may not have enough packing cubes to sort by day, so picking the group may be easier. Once you know what clothing you’ll be bringing, it’s time to move on to the toiletries. Once you have your list, figure out if you want to use a toiletry bag or a packing cube for your personal care items. We recommend a toiletry bag that will fit well with your packing cubes. Once your list of toiletries is ready, pack them in either the packing cube or a toiletry bag. Once your clothes are sorted on your bed by either day or category, it’s time to pack. Figure out which method of packing you’ll use: rolling or folding. We recommend rolling. This way, you’ll save room and be able to see all of your items through the top of your packing cube or once you open it. If you want to fold your clothes, they’ll also stay relatively wrinkle-free. Once your packing cubes and toiletry bag are packed, load everything into your suitcase. Place the larger cubes on the bottom and fill the space with smaller cubes, shoes, and your toiletry bag. Pack an empty packing cube to store laundry in, and leave room for any extra items like books or travel accessories. If you haven’t used packing cubes before, now is a great time to start. Use our picks of the best packing cubes and our buying guide to help you make your next trip easier.